In April 2016, the State of Illinois submitted its Every Student Succeeds Act (ESSA) State Plan to the US Department of Education. Included in the school accountability framework is a College and Career Readiness Indicator (CCRI), which is a multi-factor approach to measuring student readiness upon high school graduation. This new approach to measuring student readiness has been noted by the US Department of Education as an innovative practice, and the CCRI holds great promise for promoting an increased focus on readiness in the state. As outlined in the state’s ESSA plan, schools will be expected to report on the college and career readiness of the graduating class of 2019. Download the webinar recording to learn how the CCRI can be implemented, tracked and measured within Naviance. 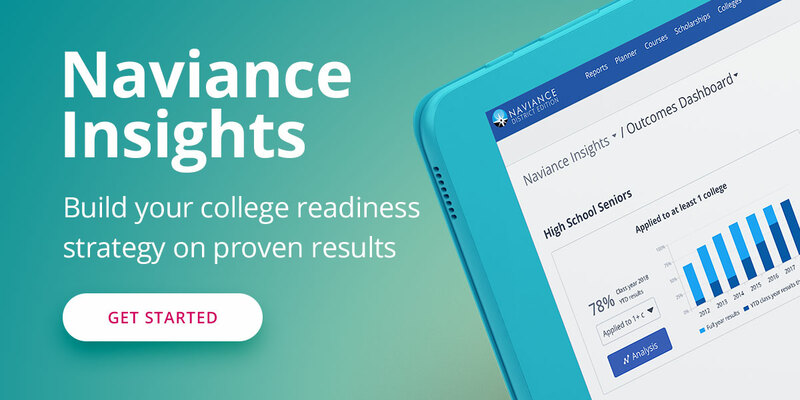 You will also learn best practices for current Naviance users as well as those looking into using Naviance in their school or district.